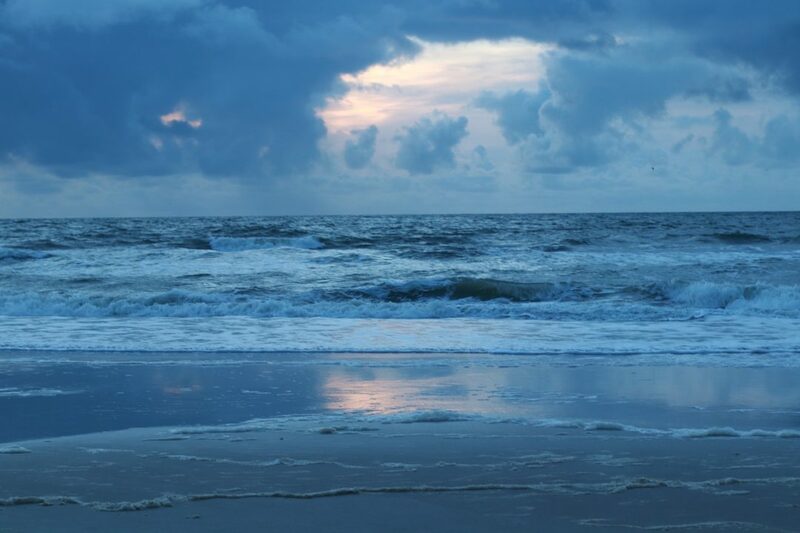 We spent this past week in Amelia Island, Florida. It’s one of my favorite places to vacation. 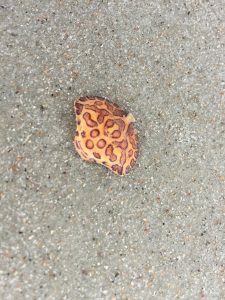 It’s on the Eastern coast of Fl, about 45 minutes from Jacksonville. 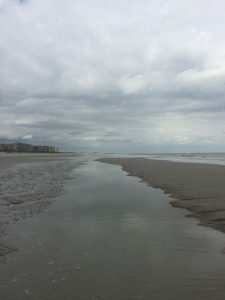 It’s a great place to go for a family friendly vaycay with lots of things to do. Its also great for a girls trip or a romantic getaway to enjoy some relaxation. This time we stayed in a rental we found through VRBO, complete with a pool and it was only a block to the beach. There’s something about that salty ocean air that just draws you in. As our trip came to an end we had such an amazing time we actually decided to stay a few extra days & booked a room downtown at The Hampton Inn & Suites. 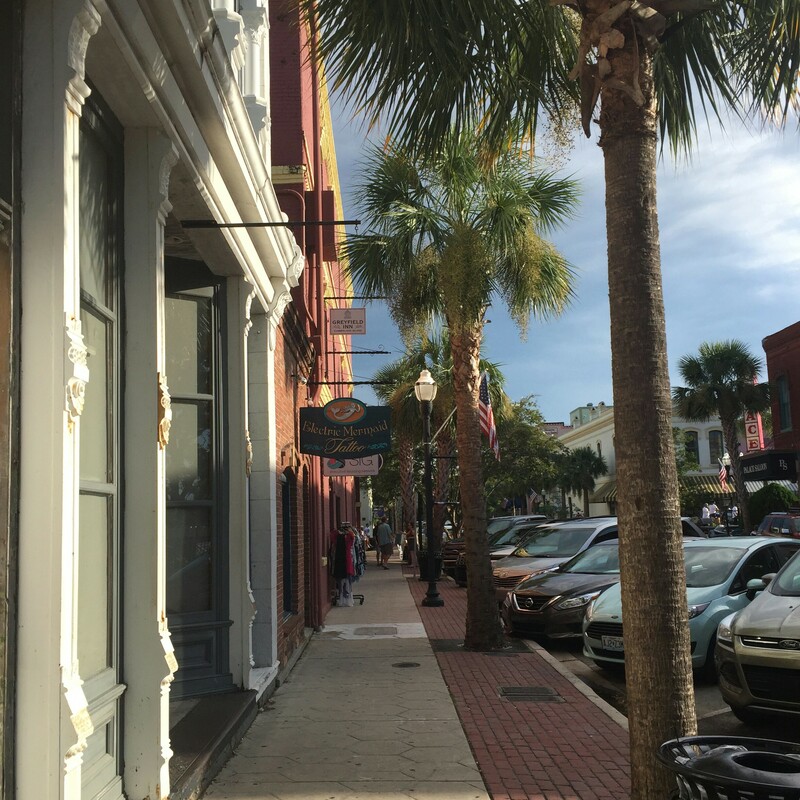 While it’s not on the beach it is right in the heart of downtown, so we really enjoyed everything this place has to offer! This is actually the second time I’ve stayed there. It has a great view of the marina, a pool, workout room, complimentary breakfast, its clean, the staff is super nice & they even serve complimentary warm cookies in the afternoon. The beaches down here are beautiful. They’re quiet, never packed. Absolutely perfect, the water is clear enough to see what’s around you. There are fabulous tide pools you can take advantage of, if you time it just right, as well. Kids love it, because they can wade around in them, without anyone having to worry about the waves. Adults and kids alike can appreciate the abundance of sea life and sea shells which can be found in and around them! Its definitely worth googling the tide times for each day if you’re heading down to the beach. The sea shells are great in Amelia, not to mention the shark’s teeth you can find. I remember when I was younger we would proudly leave the beach for the day with about 10-15 . And we had so much fun doing it. We made it into a contest. Staring at the edges of the shell piles as we slowly walked the beach. This trip I only found about 7, but l had a blast doing it! 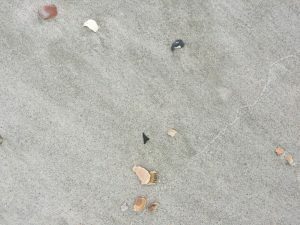 You can see in the middle the very small black shark’s tooth , one of the five I found that day. As you can see its similar to searching for a needle in a haystack! 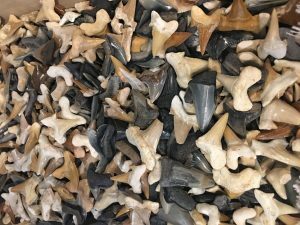 If you don’t feel like spending time scowering the beach, there are plenty of shells and shark’s teeth to be found in the shops downtown. After a long day on the beach, there are no shortages of great restaurants where you can grab a bite to eat! Cantina Louie’s is an amazing Mexican restaurant with a unique ambiance. It is surrounded by a large pond that has a few alligators living in it which you can safely view from the deck. They also have a small putting green plus, corn hole for kids and kids at heart! My son really enjoyed playing in the putting green with his great-grandfather while we waited on our food to arrive. They have unique cocktails & great gourmet tex mex. Its creative and fresh! My hands down favorites were The Grilled Pineapple Margarita & The Srircha Shrimp Tacos! You really can’t go wrong here! All of the tacos looked amazing! I’m still drooling over those! 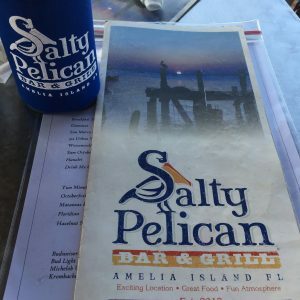 Another favorite place of ours was The Salty Pelican its located downtown. Its got a great water view. They have live music frequently and great food. The fried shrimp was definitely the best I’ve had at a restaurant before! The seasoning was perfect in that batter. I literally sat there trying to disect the flavor profile in my mind, so I could recreate those babies at home. Plus their homemade tartar sauce was the perfect acouchremant. They were served with these yummy thick spiral fries. I also really enjoyed The crabcakes, and I’m from MD, so you know that’s saying a lot.. The service was also great. We actually loved everything about this place so much, that we ate here 3 times on our trip and came back another time just for drinks! I loved their Blackberry Sangria and they had a great beer selection! We always make a point to explore the shops downtown while we are here. They are so unique, and you can find some great stuff! Some days they close fairly early, so it’s important to keep that in mind. We usually go mid morning so we can see everything. 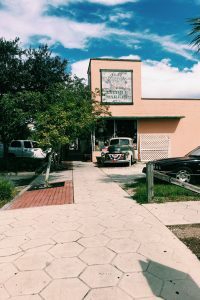 There are lots of souvenir shops, toys, clothing, art galleries, & antique shops with one of a kind treasures! I bought some really pretty mermaid pictures for my bathroom from one of the little shops on Centre St. I also purchased some clothing for friends back home. Next, I literally wanted to buy a million things from Twisted Sisters, unfortunately there was no room left in the car. 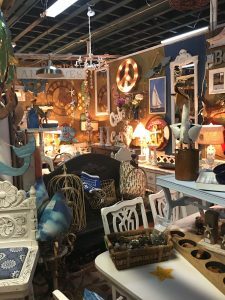 It’s an awesome shop with beautiful beachy finds! 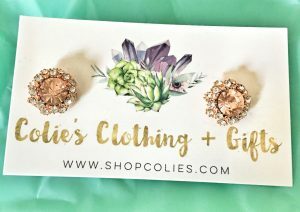 They have two locations in town and everything from jewelry to art, clothing to personalized signs.. I had to stop myself from going crazy! 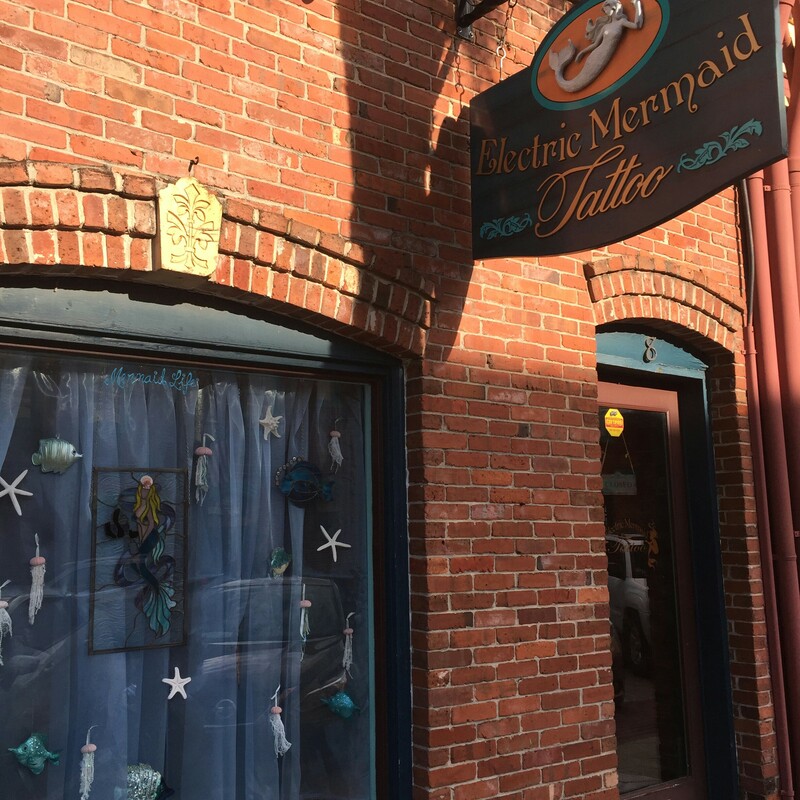 Colie’s shop is located at 4 N 2nd St.
Now, you know me, I hear mermaid and I’m all in! Plus, who doesn’t love a cute little shop! It was everything the girly girl in me could have hoped for! I opted for the cutest pair of earrings. I’m so obsessed with them, I’m sorry I didn’t buy more! I love earrings!! A good pair can enhance any outfit! You can also find some super cute clothes & other accesories there! If you’re looking for a great place to hang out when the sun goes down: Be sure to checkout The Greene Turtle. It’s a little dive with great local live music and cheap drinks! Next to it is The Mermaid bar. 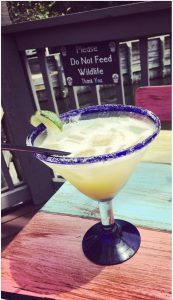 Its located at The Florida House Inn & I wanted to try this place so badly, but at the time it was closed for a private party. I will definitely put it on my list for the next visit. I really want to try some of their housemade cocktails like The Mermaid Slap (made with 3 different kinds of rum) or The Bee’s Knees (which features St. Germaine). Than, we headed over to Fantastic Fudge. This is for sure a must stop. When you walk in and look to your left you’ll immediately notice them making fudge. It’s so fun to watch and it completely explains why everything taste so fresh and delicious in there. We were going there for the ice cream. However, my four year old insisted we get some of the homemade Oreo fudge and I caved because,well. “Vacation”? I was so glad he convinced me, it was worth every calorie! So smooth and decadent! We also got ice cream cones! They did not disappoint either! He’s currently still asking to go back and get another orange dreamsicle icecream cone. The next time you are trying to figure out where to go on vacation or even for the day (if you’re close enough!) 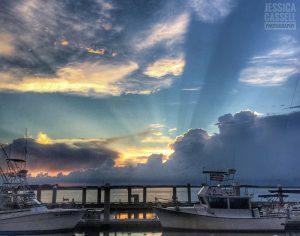 adventure over & enjoy everything this sweet little beach town has to offer! Below I’ve put together a list with some of my favorite stops with suggestions for each! Thanks for all the great, detailed information. Our oldest wants to rent a house on the beach for our family’s trip his senior year and we keep trying to decide between Florida or California. I will definitely check some locations out in this area! Such a beautiful place! One of the places I’d love to live. Wow! 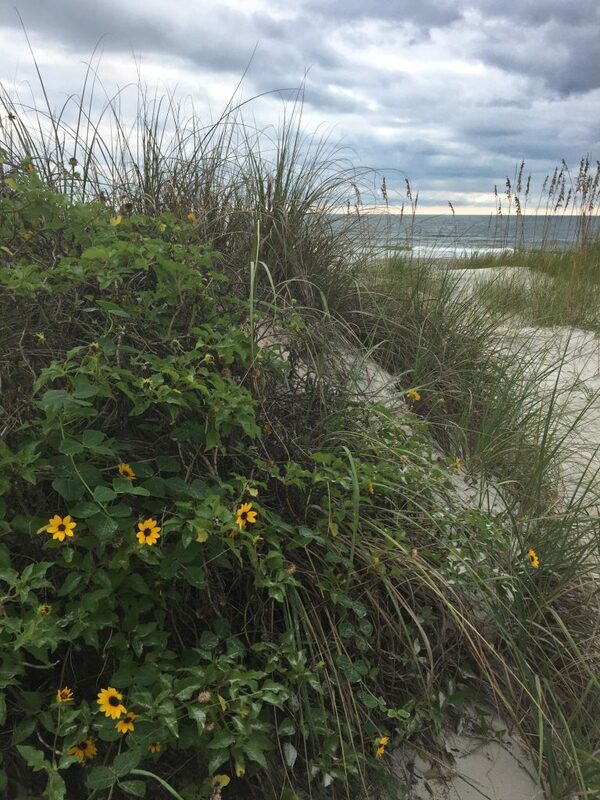 Amelia Island looks like such a great place! Looks like it has plenty to do. I’m headed to Florida next month so I may just check it out. Are there RV parks there? 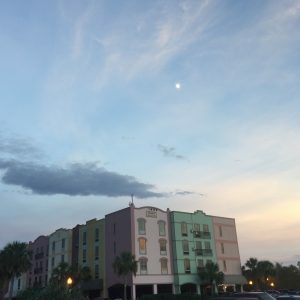 We’ve been to Amelia Island a few times! We love it there! Great write up….